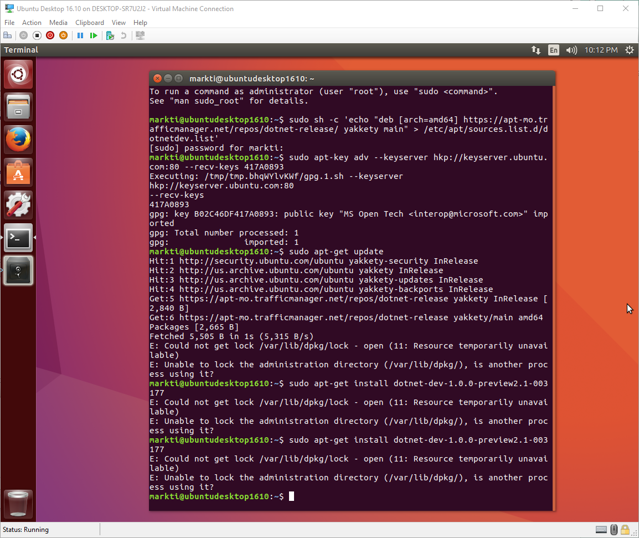 So I followed the official instructions on how to install .NET Core on Ubuntu but ran into some lock issues at the very last command. Some might call it ‘clutch’. E: Unable to lock the administration director (/var/lib/dpkg/), is another process using it? DON’T PANIC. Count to 10. Re-run the command. Works.